We are passionate about what we do, and feel strongly about offering the best care possible for your pet. Our support staff includes certified veterinary technicians and veterinary assistants who are friendly, caring, honest, and enthusiastic about your pet’s health and well-being. Our specialized equipment includes a full in-house laboratory, digital radiography, ultrasound, rigid endoscopy, a full array of orthopedic surgical equipment, and a therapeutic laser. Our doctors believe that continuing education is extremely important and take every opportunity to strengthen their knowledge in the latest medical and surgical techniques. Dr. Cardosa is a lifelong resident of Rhode Island. He graduated from Rhode Island College in 1981 and Tufts University School of Veterinary Medicine in 1990. 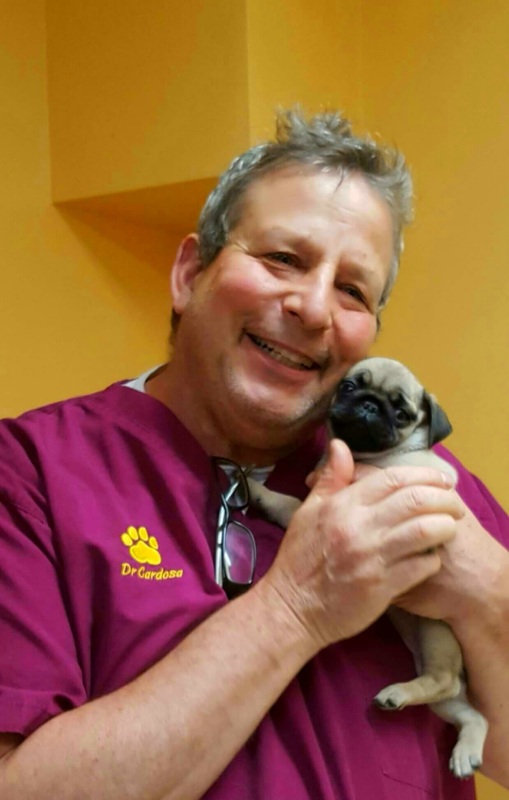 Dr. Cardosa is a Board Certified Veterinary Specialist in Canine and Feline Practice. Dr. Cardosa has a special interest in orthopedic surgery, and is accomplished at performing numerous highly demanding orthopedic surgical procedures. Dr. Cardosa is a war veteran; he completed tours of duty in 3 different war eras and in combat. He has been married to his wife, Debbie for 42 years. They have 3 grown children and 10 grandchildren. Dr. Dan enjoys working on his boat and practicing Jiu Jitsu. Dennis is our resident Cat Whisperer. He has been a part of the Big River Team for 10 years. His ability to work wonders with the toughest of our feline patients is remarkable, with his calm demeanor and low-stress handling approach. 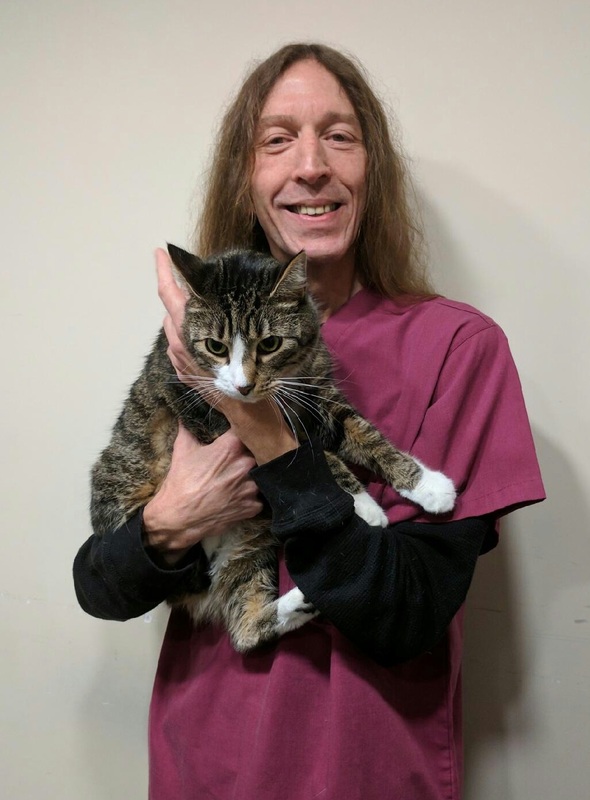 Dennis enjoys classic rock music and spending time with his own cats at home. 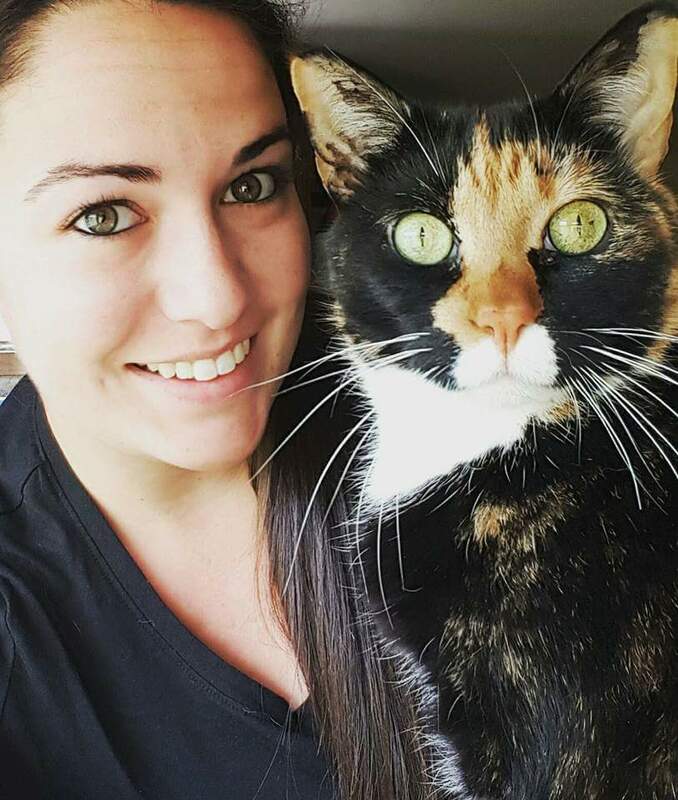 Julia is a graduate of the Vet Tech program at the New England Institute of Technology. She has a special interest in dentistry and surgery. Julia enjoys spending time with her cats Mittens and Luna, her rabbit, Aurora, and her two gorgeous Tennessee Walking Horses, Buddy and Moon.